The UK Border Agency (UKBA) home office announced that the United Kingdom is opening its door to migrants who excels in the fields of Science, Engineering, Arts & Humanities. Under the New Tier 1 (Exceptional Talent) category of UK immigration rules, scientist, engineers, artists and those into Humanities will be given the chance to migrate, find work and possibly settle permanently in UK. the British Academy, the national academy for the humanities and social sciences will be able to nominate up to 200 places. An endorsement from any of these competent bodies will be enough for exceptional migrants to enter the UK even without employer sponsorship. This new category will open 1000 slots. The first 500 places will be offered between August 9 to November 30, 2011. 500 more places will be available from December 1, 2011 to March 31,2012. The number of slots assigned to each field may be changed depending which is more in demand. The exceptional ones accepted under the Tier 1 Category will be granted stay for 3 years and 4 months. Afterwhich, they can apply for an extension of two years. 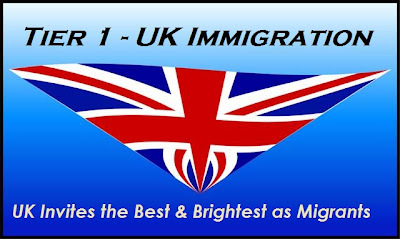 5 years of residence in UK make them eligible to apply for permanent residency. This immigration policy will give exceptional minds & talents around the world not only a great chance to be in UK but more importantly to be with fellow exceptional migrants. To exceptional Filipinos who would go to UK via Tier 1 (Exceptional Talents) category, I hope they would still remember to help their motherland.